Villains are here to take over the world. Following the reveal of Darkseid back in August 2018, we now know who will be voicing the tyrannical leader of Apokolips in Lego DC Super-Villains. Michael Ironside will be reprising his role from the DC Animated Universe, and he’s not the only one. DC heavyweights Kevin Conroy and Mark Hamill will once again be taking on their iconic roles of Batman and Joker, respectively. Other notable cast members include Tara Strong, Michael Rosenbaum, and Cissy Jones. In Lego DC Super-Villains, the villainous Justice Syndicate rises up and takes power after the Justice League goes missing. In a reversal of roles, it’s up to DC’s worst, led by the Joker, to stop them and hopefully find the Justice League. 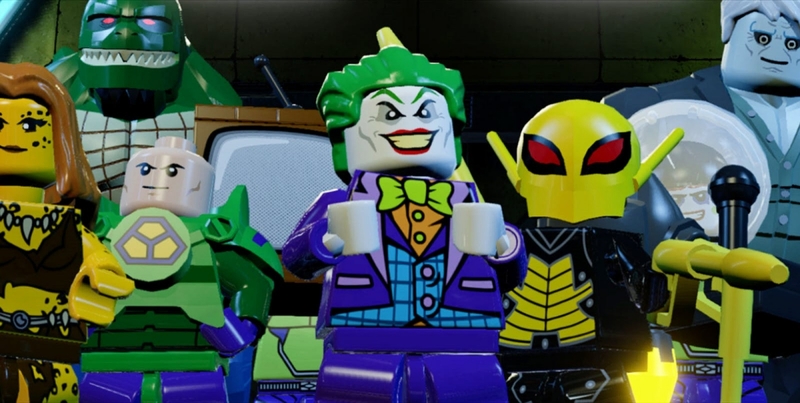 Lego DC Super-Villains is releasing on October 16, 2018 for the PlayStation 4, Xbox One, Nintendo Switch, and PC. If you’re so inclined, you can also get your hands on the season pass. It includes content from some the world of film and television, including Shazam! and Young Justice.